Sergio Magaña is one of the few spokespeople to share Mexico's ancient spiritual teachings with the rest of the world. A core element of these teachings, which have been closed to outsiders until now, is dreaming practices. In this audio program, Sergio guides the listener through three exercises, so that they can experience this powerful technique in their own life: Dream Planting for Healing and Abundance; Dream Planting for Healing Ancestral Patterns, Blood Line and Addictions; and Lucid Dreaming Night for Creating Your Destiny. Best-selling spiritual author of The Soul Searcher’s Handbook, Emma Mildon - the “goddess-messenger-girlfriend who may just lead you to your inner guru” (Katie Silcox, New York Times best-selling author) - provides a fascinating, fun, and inspiring exploration of female divinity throughout history, myth, and religion to help women understand, embody, and celebrate their inner goddess. Problems arise when our perception of the dream becomes clouded with negativity, drama, and judgment (of ourselves and others), because it's in these moments of suffering that we have forgotten that we are the architects of our own reality and we have the power to change our dream if we choose. 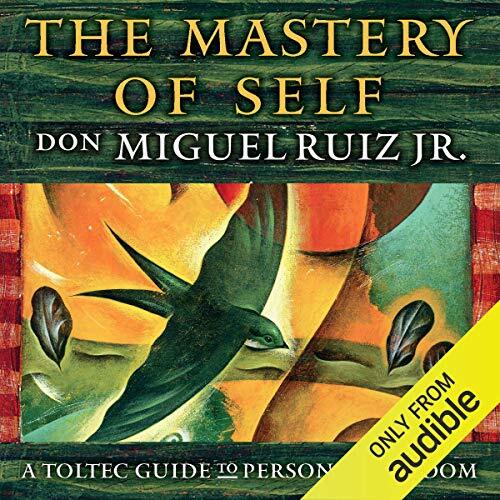 In The Mastery of Self, best-selling author and teacher don Miguel Ruiz Jr. takes the Toltec philosophy of the dream of the planet and offers you a road map to reclaiming your authentic self. 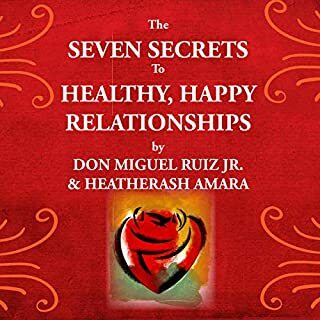 He reveals how the tools of awareness, understanding, and unconditional love can free you from any inhibiting beliefs, stories, or ideas that are keeping you from living the best life possible. This is exactly what I was looking for and what I need. Very easy to read /listen and easy to understand. I love that this book includes exercise that I can try. Thank you. Great learning if you're really serious about YOUR life. If everyone could find, read and apply the lessons found here, this world would be a better place!!! Scale of 1 to 10. This book is a 20! This book engaged my emotions on a level I didn't think was possible. Mastery of self definitely played a big role on my perception of this world. Thankyou! My Gratitude goes to the author. I read this book after finishing The Four Agreements. 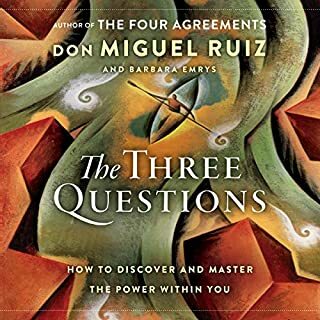 Don Miguel Ruiz expands on his father's ideals beautifully and elucidates how you too can learn these insights through great stories, explanations and wonderful exercise. Highly recommend this book to anyone on the Path. I love book good for spiritual self evaluation and consciously awakening would diffently recommend. I love a the book is interactive with the reader. I really enjoyed this book. while I have read other books I have been noticing that they are all basically saying the same thing. everybody is using different words to express the same ideas. 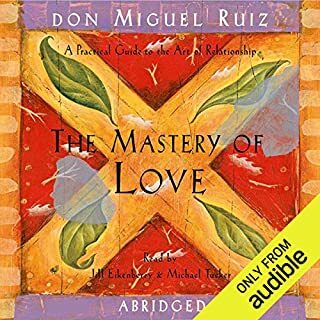 If you are a fan of this type of self realization and you are a fan of Don Miguel Ruiz or his son, then you will like this. 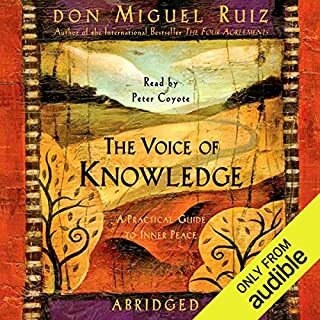 This was a great book of understanding oneself of mine, heart,and soul. I would recommend this book to anyone who has felt loss of a loved one . Also one's who feel lost in the fog of this world and is looking for peace. This book provides you specific and real life examples of how to use the The 4 Agreements in your life. I enjoyed the ideas, exercises, and thoughts he expresses. 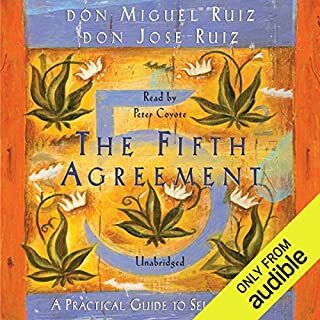 Read this one after The 4 Agreements to understand the ideas more in the original book. Powerful book and very well-narrated. I plan to listen to this masterpiece again; very inspiring. Great to be able to reinterpret a few Toltec principles like Ally and Parasite. really helped me to feel love towards myself again. a great tool for reconnecting with ones compassion. Changed so many of my distorted perspectives. Love it! Love his book and tone of voice! 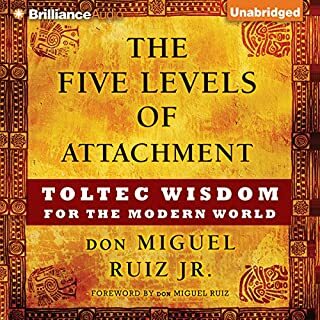 Always helps me in everyday life to remember Toltec knowledge. The best reads for me. I have listened to it 3x now and it is pure gold. I constantly take notes and use what he saya and apply it to my life.